Luxury Palette in Pillow Talk: a pretty, feminine every day eyeshadow palette with four shimmer and matte shades in champagne pink, matte dusky rose, soft matte brown and rose gold sparkle. Cheek to Chic in Pillow Talk: a two-tone powder blusher in a dusky pink and champagne shimmer shade that will add a kiss of colour to your cheeks. 1. For a daytime look, start by applying the Prime shade of the Luxury Palette to the entire eyelid using the Blender Brush. You can also apply the Prime shade to the inner corners of your eyes to help brighten your eyes. 2. Wash the Enhance shade over your eyelids and into the crease of your eye using the Blender Brush. Apply this shade along the upper and lower lashline and finish with Legendary Lashes Mascara for a perfect daytime look. 3. For an evening look, repeat the first steps, then using the Eye Smudger Brush, blend the Smoke shade from the outer corner of the eye, upwards into the crease. Blend into the crease and apply across the upper and lower lashline. 4. 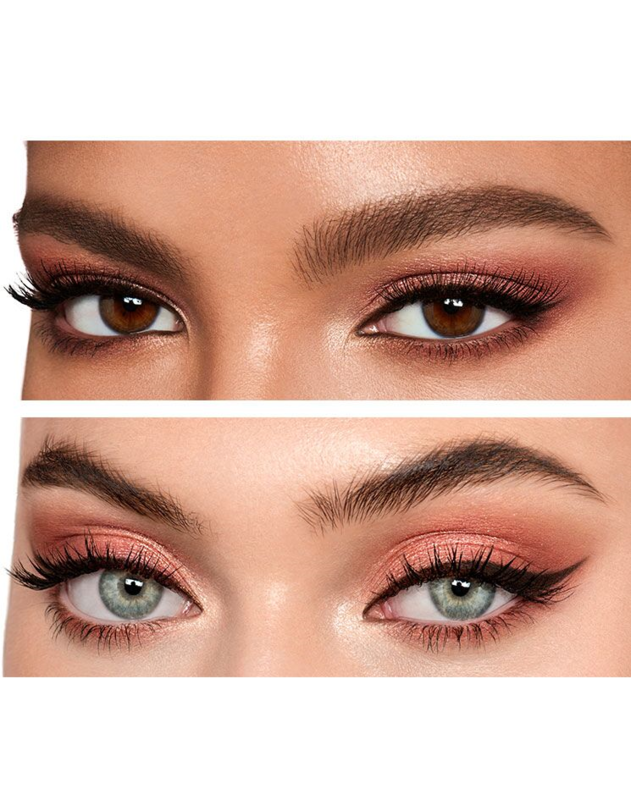 After steps 1, 2 and 3, amp it up for a party look by applying the Pop shade to the centre of your eyelid with your ring finger, for a glamorous finish. 5. 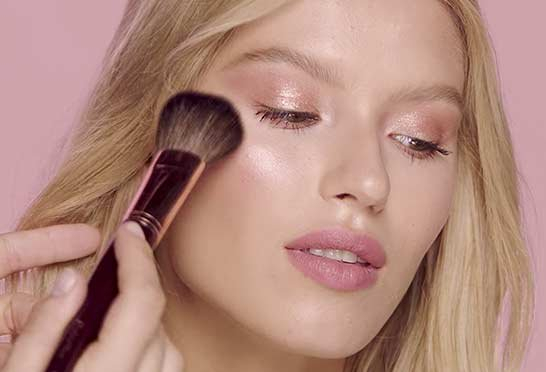 Take your Cheek to Chic blush and SWISH the brush around the outer shade & tap off the excess. Run the brush flat, up the cheek bone starting from the apple of the cheek, to structure your face. 6. POP the shade by taking the pointy end of the brush, dip it in the centre colour & tap off the excess. Apply to the apples of your cheeks to make them pop & glow, then blend seamlessly together. Charlotte’s Tip: Pair this makeup duo with the Pillow Talk Lip Liner and Pillow Talk Lipstick for a gorgeous supermodel-inspired look. This product is Paraben free. It is also free from Alcohol, Fragrance, Gluten and Nuts. This product is also Vegetarian. Prime Ingredients: Talc, Mica, Dimethicone, Octyldodecyl Stearoyl Stearate, Zinc Stearate, Zea Mays (Corn) Starch, Silica, Pentaerythrityl Tetraisostearate, Potassium Sorbate, Chlorphenesin, Tetrasodium Edta, Tin Oxide, Titanium Dioxide (Ci 77891), Iron Oxides (Ci 77491, Ci 77492, Ci 77499), Ultramarines (Ci 77007), Carmine (Ci 75470). Enhance & Smoke Ingredients: Talc, Zinc Stearate, Dimethicone, Mica, Zea Mays (Corn) Starch, Silica, Pentaerythrityl Tetraisostearate, Octyldodecyl Stearoyl Stearate, Potassium Sorbate, Chlorphenesin, Tetrasodium Edta, Calcium Aluminum Borosilicate, Tin Oxide, [May Contain/Peut Contenir (+/-): Titanium Dioxide (Ci 77891), Iron Oxides (Ci 77491, Ci 77492, Ci 77499), Carmine (Ci 75470), Ultramarines (Ci 77007)]. Pop Ingredients: Calcium Sodium Borosilicate, Talc, Diisostearyl Malate, Caprylic/Capric Triglyceride, Mica, Hydrogenated Castor Oil Hydroxystearate, 1,2-Hexanediol, Caprylyl Glycol, Chlorphenesin, Potassium Sorbate, Tetrasodium Edta, Silica, Tin Oxide, Titanium Dioxide (Ci 77891), Iron Oxides (Ci 77491, Ci 77492), Carmine (Ci 75470), Copper Powder (Ci 77400). This product is Paraben free. It is also free from Alcohol, Fragrance, Gluten and Nuts. This product is also Vegetarian and Vegan-Friendly. 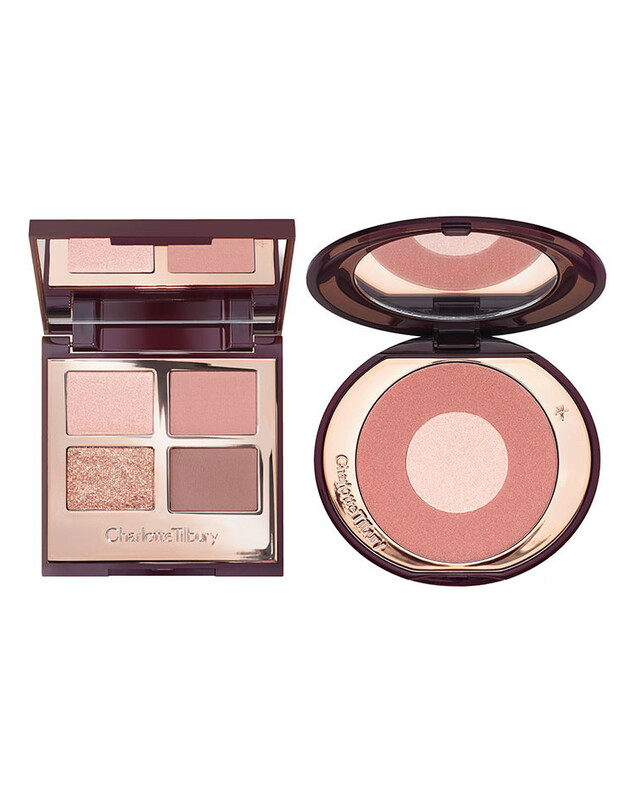 Charlotte Tilbury The Pillow Talk Eye & Blush Duo is rated 4.7 out of 5 by 146. Rated 5 out of 5 by Maria from Naturally beautiful! As a not much of a make up wearer, your products have made me a habitual wearer!! I absolutely love both the eye quad palette and the blusher is to die for... subtle but beautiful. I have been converted to a woman who now loves to wear make up most days of the week and feel much more confident in doing so especially when my glamorous daughters, daughter in law and granddaughter and step daughter come to visit, as they all wear make up every day and somehow I feel like I’m one of the gang again and looking good for a 50+ yr old. Powders are silky smooth and creams are lush... pigmentation is the bomb. 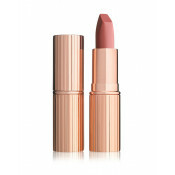 Charlotte Tilbury, I think I love you, but I most definitely love your ‘my go to’ products! Rated 5 out of 5 by 1mahammasood from Best December buy! It came back before Xmas and I didn't waste time and bough it immediately. What a gorgeous one, its exactly as pictured and seen on videos, just the right amount of pigment so you don't have to worry too much about a light or heavy hand. Same philosophy as her other quads. I wear it every day! The blush was my first from CT and I'm impressed how buttery it is which means it doesn't settle in to my pores. The swish and pop philosophy didn't really work in reality for me but I am practising to get it right. The colours would only suit fair to medium light tones in my opinion. My niece who is a gorgeous olive brown tried the blush and it didn't show at all on her face. Rated 5 out of 5 by simply radiant from yes, yes, YESSS! Everything Pillow Talk promises and more. Absolutely radiant palette and blusher. I was afraid it would be too light based on the photos, but it is pink and tawny perfection. Always love a good eye shadow, but don’t see wearing the pink tone daily. I am about to order a second blush just to have on hand. It is ethereal!!!! Perfect balance of powdery pink softness, but with a naturally divine glow!! Favorite! Obsessed. Rated 5 out of 5 by SHK1 from Holy Grail Status I buy a lot of high end makeup and am very discerning. A product has to have something extra for me to review or recommend. This is it. The colours are beautiful - I have lots of other palettes but none quite like this. The formula is pigmented and easy to blend. It’s now my go to everyday palette. The blush complements the palette perfectly and blends out well with no harsh lines. 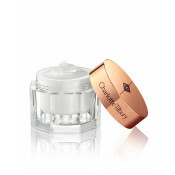 I feel this is the beginning of a very expensive love affair with Charlotte Tilbury products! Rated 5 out of 5 by 1mahammasood from One of my best decision of 2018 was to grab this Wanted to have this limited edition pillow talk items but it was sold out before I could make up my mind because I don't like buying stuff without physically trying it on myself and Charlotte's products and models have this special lighting and stuff which doesn't apply to us normal life women. Hence I did my research on YouTube, bloggers I trust and swatches in different lights. So when the duo for the blush and pallete came back in stock, I jumped right in and bought it. I have no regrets. The delivery took a bit longer than expected and when it came it was packaged up pretty but when I opened it it had no plastic covering. I found that a bit odd but it definitely wasn't used so I can let that go. I got my samples too. I have used the products almost every day and you can see from the pictures in different lights how I have played with the colours. I already had the pillow talk lip pencil. Overall I would say less is more to get the luxurious feel from the blush and eye pallete. The shadows are not highly pigmented but very light so you will need to build it up. I own lots of CT products and very happy with the purchase and price of this offer! Rated 5 out of 5 by Liz Lisa from The Blush; My goodness!!! When I first saw the ad campaign with the asian girl wearing this palette, I knew I had to have it. 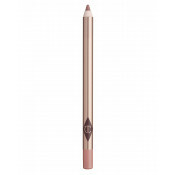 This is my first purchase from Charlotte Tilbury and I was obviously pretty nervous. To my surprise I received this in the mail the very next day because they have a location in Toronto. I am a very very fair asian with a neutral skin tone complexion with ultra sensitive skin (I don't use heavy creams or foundation). The eyeshadow is very pretty and natural. The tones are very rosey and blushy and would be suiting for a gentle for a romantic make up look, if you want something dramatic, this palette is not for you. Now, the star of the show was definitely the blush. At first I didn't know how to use it so I just tapped it and brushed it on, but even with my noob make up skills, I looked like I GLOWED. I can't describe it, you have a very pinky deep glow that looked beautiful and healthy. Absolutely BEAUTIFUL. I was looking for a replacement of my highlighter but now I don't have to put it on anymore because of this blush. You can swirl it together or you can do a diagonal swipe like I did and create a blush+highlighter effect. I do recommend that you use a high end super soft brush on it so you don't grind up the finely milled pressed blush powder. If you were to choose out of the two, GET THE BLUSH!! !